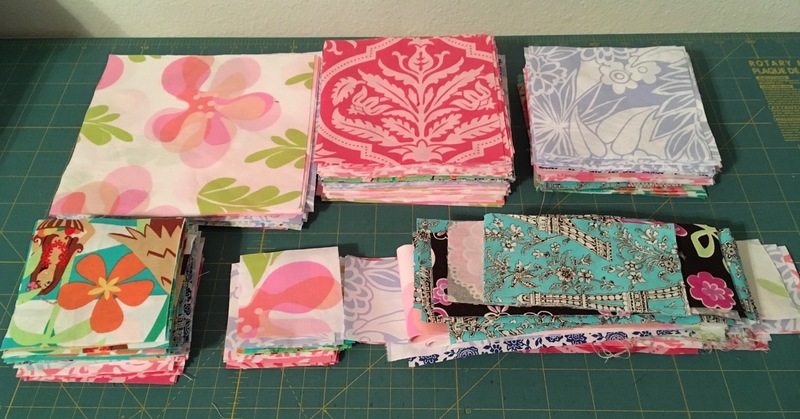 A rotary cutter and various rulers turned the stack of rescued scraps in last week's post, into some useable squares. Eighty-four squares (4.5 inch) and eight (2.5 inch) squares were set aside for this baby quilt. The pale gray border strips came from my stash. The remaining scraps were added to bins with other fabrics cut to size. They will be used in future projects. Not bad for a $2.00 investment. The baby quilt turned out great! So cheerful and sunny looking. Well done! Impressive number of squares from that little investment. Cute quilt top too! That little quilt is precious! That baby quilt is just amazing. I Love it Nancy. You have inspired me to start charity knitting this week. The baby quilt is beautiful! Wow! 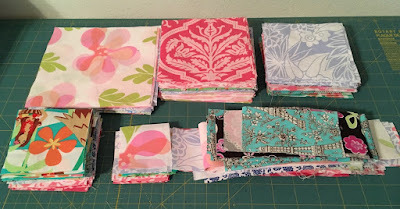 Oh I love that baby quilt and look at all of the additional squares you still have. What a great investment you made. Very pretty and I'm sure a very satisfying result. 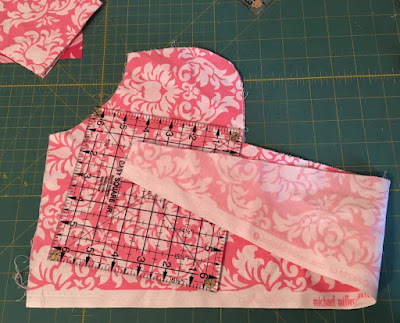 I love my rotary cutter and should get busy and do the same thing! The baby quilt is adorable! 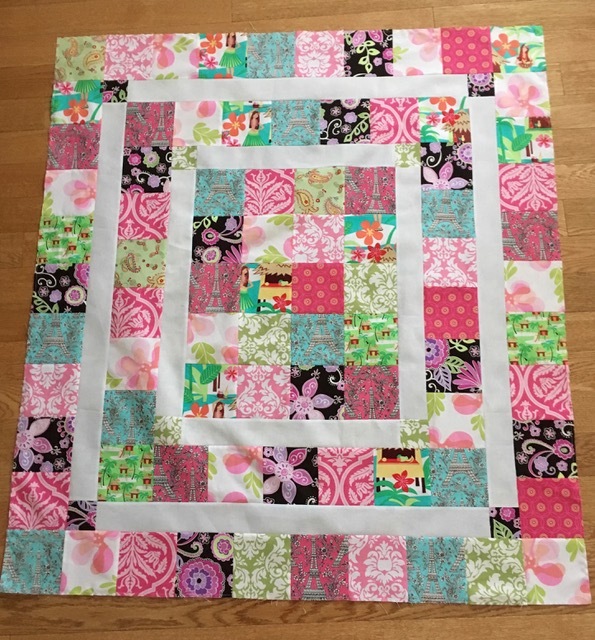 Love the baby quilt - so pretty! !